The Law of Attraction says you can magnetically attract to you whatever you desire. What does the Bible say? The Law of Attraction is served to us with a lot of mystique, as if it were the modern day revelation of an ancient secret shrouded in mystery, known only to a few initiates. I was still living in Paris when I first heard of the Law of Attraction in January of 2007, right after the start of the New Year. I was in Switzerland spending the holidays with one of my closest friends at the time. Together that cold winter evening as we sipped hot tea we watched the DVD of “The Secret”, which was spreading like wildfire among European New Agers. Like most people who watched that video, we were mesmerized by the promise held by this power that could attract into your life whatever your heart desires. From that point onwards we did our best to watch our thoughts and words so that we would attract only good things into our lives, and the Law of Attraction became one more tool in our New Age toolkit. 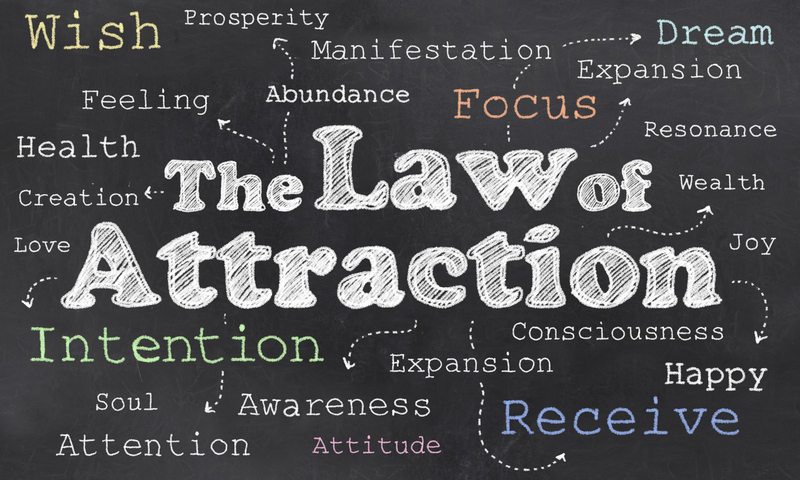 Where does the Law of Attraction come from? 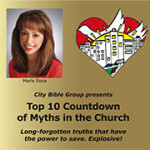 “The Secret”, produced by Australian television producer Rhonda Byrne, was a compilation of “New Thought” perspectives. The New Thought movement developed in the US in the 19th. century and continues strong to this day. It is a modern rendition of what is supposedly hermetic knowledge, the teachings of Hermes Trismegistus. Hermes is a combination of the Greek god Hermes and the Egyptian god Thoth. Trismegistus means “three times great” and Hermes Trismegistus is the author of Hermetica, a body of 42 works that to this day serves as the basis for magic, alchemy, astrology and other occult arts. In France for example many New Age initiates read “Kybalion”, which was published in 1908 and contains the so-called hermetic laws or principles that govern the universe, one of them being the Law of Attraction. In the US there appeared three important teachers of this law: Wallace D. Wattles who in 1910 wrote “The Science of Getting Rich”, Napoleon Hill who in 1937 published “Think and Grow Rich” (one of the best selling books of all time) and W. Clement Stone’s “Success through a Positive Mental Attitude” which came out around the 1960’s. Rhonda Byrne’s The Secret gained a lot of credibility as a host of media and other celebrities stepped forward to share their stories of how they had attracted success into their lives, such as Oprah Winfrey on the Larry King Show. In addition to “The Secret” one of the best-known teachers in the US of the Law of Attraction are Esther and her now defunct husband Jerry Hicks. Esther is a “channel” who as her website claims, “Delivers a message of joy and creation through dialogue with a group of spiritually evolved teachers who call themselves Abraham”. People all over the world are listening to these channeled teachings. What does the Law of Attraction teach? What does this law actually say? The basic concepts of the law of attraction are that “like attracts like” and that by focusing on positive or negative thoughts, you can attract positive or negative results into your life. This belief is based upon the idea that people and things are energy and that thoughts are energy. Energy attracts like energy, and ultimately “thoughts become things”. The basic premise that thought has creative power can be applied to attract anything into your life: health, wealth, relationships, and any material possessions. According to this law nothing is too difficult to attract, you can create your own reality as you want it. Just focus on those thoughts long enough and with enough emotional power. In fact, if right now you don’t have what you want it’s simply because you’ve been “a sloppy creator” according to Abraham. Just clean up your thoughts and your life will follow. What’s the truth about the Law of Attraction? The Law of Attraction truly is a vast topic because of the worldview and the theology, yes the theology, contained within it. I’m going to set the record straight on 12 main points of truth. We’ll pick up on some of these in future programs on this New Age series. 1) The Law of Attraction feeds on our desire to be gods or to be as God. It tells us that we alone are the Architects of our lives, the master of our own ships, creators of our own reality, leaving no place for God to be sovereign in our lives. It breeds human self-sufficiency with no need for the true living God. It relies on human wisdom versus divine wisdom. The second lie told on earth was recorded in the Book of Genesis when the serpent, the most cunning of all beasts of the field, told Eve: “you shall be as gods”. 2) The Law of Attraction worships the universe – an impersonal energy – as the source of all things. The fundamental theological error here is that the universe is a creation, not a creator. The universe was itself created – it cannot create anything. God alone is the Creator and the universe is His creation. Genesis 1 and 2 describe how God created the universe. When you worship the universe you are engaging in pantheism, worshipping nature gods or energies instead of the one true God. 3) All is not one. The New Thought teaches that everything is a vibrational continuum, that all things are interconnected and ultimately are one, a common belief in pagan religions. This theory by the way is used to explain that thoughts become things, we’ll come back to that shortly. The theology of oneness negates the great conflict between good and evil. It gets rid of God and Satan. It also dispenses with sin. Since there is no evil there is no need for law hence there is no sin. Therefore there is no need for Jesus our savior or a plan of salvation. Jesus is replaced by “Christ consciousness”, a form of right thinking that’s claimed to bring physical, emotional and spiritual healing. 4) Thanking another power for your blessings dishonors God. When you receive good things in your life and express thanksgiving to a power other than God, you are stealing His glory. God is Jehovah Gyra, the great provider, every good thing comes from Him. Proverbs 10:22 says: “The blessing of the Lord makes one rich, and He adds no sorrow with it.” Only He can create something out of nothing. If your blessings are coming from a source other than God, you are slave to another master. Romans 6:16 tells us: “Do you not know that to whom you present yourselves slaves to obey, you are that one’s slaves whom you obey, whether of sin leading to death, or of obedience leading to righteousness?” You want to make sure you’re serving the right master. Serving Satan always brings sorrow in the end, there’s a very high price to pay. 7) Magnetic attraction is not biblical. The Law of Attraction states that we attract things to ourselves like a magnet, drawing to ourselves things which are in vibrational harmony with our vibration. I found no biblical evidence that like attracts like in this fashion. We do find two bible verses about how the company we keep is or should be in harmony with who we are. 2 Corinthians 6:14 – “Be ye not unequally yoked together with unbelievers: for what fellowship hath righteousness with unrighteousness? and what communion hath light with darkness? Now, there’s a verse that’s often cited as biblical proof that like attracts like, and I want to set the record straight on it. Mark 4:25 reads: “For he that hath, to him shall be given: and he that hath not, from him shall be taken even that which he hath.” The truth of the matter requires a rather long demonstration of how this text is completely taken out of context. Clearly this verse is important, because it’s repeated in three out of the four gospels, in Mark 4 that we just read, in Matthew 13 and in Luke 19. Let’s go to Matthew 13. Jesus is teaching the multitude and He always taught them in parables. That day He was expounding the parable of the sower who sowed seeds, some which were blown away by the wind, others were uprooted because they fell among the rocks, and others fell on fertile ground and yielded fruit. Those seeds in the parable represent the Word of God. In Luke 19 it’s a different parable, it’s about the master who leaves and entrusts talents to his three servants. But the teaching point is exactly the same. It has nothing to do with some mystical Law of Attraction where we attract things to ourselves like a magnet. Rather it’s simply stating that he who receives little of the Word of God, even that which he received shall be taken away from him because the little he has won’t stick, it’ll be blown away by the first wind of doctrine or persecution. And he who has received a lot of the Word of God, even more shall be added unto him because his heart is fertile ground and the fruit multiplies. In the other parable in the gospel of Luke, he who receives talents from God and doesn’t use them or invest them shall have those talents taken away from him, and he who does invest what God has given him, to him it shall be multiplied. 8) Both God and Satan are after our minds. The mind is the real battleground. In the Bible the mind is often referred to as the heart, as we can see from this verse in Proverbs 23:12: “Apply your heart unto instruction, and your ears to the words of knowledge” or in Matthew 9:4 where Jesus speaks to the scribes: “But Jesus, knowing their thoughts, said, “Why do you think evil in your hearts?” The heart or the mind is the seat of our words and actions, therefore we’re instructed to keep or guard our heart. 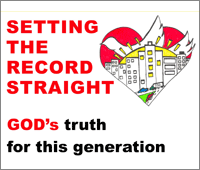 Later in Jeremiah the Lord establishes a new covenant with Israel, where He puts His law in their hearts. We are to keep our hearts to protect God’s Word and His Law that are inside. Obedience, right speech and right action will be the fruit of that Word. Jesus said “Out of the abundance of the heart the mouth speaks”. But nowhere does scripture say that we attract or create our reality with our thoughts as through some mysterious alchemy where thoughts become things in the way that the New Age teaches. This is Satan’s ploy to keep us focused on the things of this world. God spoke the universe into existence, the universe is His creation. We didn’t see God create the universe; even Adam and Eve didn’t see Him. But we believe it by faith. What else does the Bible say about faith? 1 Corinthians 2:5 – “That your faith should not stand in the wisdom of men, but in the power of God. What we can conclude from this story and from the other verses we just read is that biblical faith, which is the only true faith, is always in reference to God. There is no faith that can operate outside of the power of God. Faith is a belief in God, that He is able, and that if it’s according to His will He shall give us what we’re asking for. Any faith in any other power than the God of Israel, the God of the bible, is counterfeit, it’s not the true faith. Any supernatural means of obtaining something other than through prayer to God is a counterfeit process. 10) Faith must be aligned with God’s will. There is ample biblical evidence that faith definitely works. At almost every miracle Jesus did He said “Your faith has healed you”. The only limit to what faith and prayer can accomplish is set by the boundaries of God’s will. God has a plan, purpose and vision for each one of us. We are happiest when we are fulfilling that plan and purpose, first because He only wants good things for us, and second because He knows us better than we know ourselves. When we move away from His plan for us we are being less than we can be, because He always holds the highest vision of us. John 9:31 – “We know that God does not hear sinners; but if anyone is God-fearing and does His will, He hears him. 11) There are higher laws than the Law of Attraction. New Age thinkers like to talk about the laws of the universe. More important than the so-called laws of the universe, which are completely fictitious, are the laws of God’s government, which apply in heaven, on earth and in the entire universe. God’s government is based on the Ten Commandments, which are contained in the heavenly sanctuary and by that standard we shall be judged on the Day of Judgment. The Law of Sin and Death is more important than the Law of Attraction. Sin entered the universe through Adam and Eve. The Law of Sin and Death says that sin is the transgression of the law and the wages of sin is death. The Law of Justification by Faith says that only by accepting Jesus Christ can our sins be forgiven so that we can escape the penalty of death, since Jesus already died in our place. It’s critically important that you understand the laws of God’s government and that you live in accordance with them. This is the only way to live eternally. Those who do not comply with these laws shall simply die the first death and receive their reward – the second death or eternal death – after they come in judgment before God. Satan’s strategy is to keep you bound in trivia so that your mind can’t grasp the enormity of what’s at stake. What difference does it make whether you can attract a 100-dollar bill or a red sports car into your life if you will cease to exist for all eternity? 12) We become what we focus on. We need to focus on Jesus. Everything else is secondary. When we are saved, God gives us a changed heart. God puts His law in our heart and helps us to keep it. Our job is to keep our focus on Jesus, so that we become like Him and develop a holy character fit for heaven. By beholding we become changed. My prayer for you is that you will delight yourself in the Lord, so that He may give you the desires of your heart. May the mantle of power of the one true God rest upon your life. Amen. Tagged Bible, biblical, channel, devil, faith, focus, God, hermes trismegistus, initiates, israelites, Jesus, kybalion, law, law of attraction, luke, manifesting, mark, matthew, New Age, new thought, oneness, pagen, positive thinking, religion, Satan, scripture, the secret, theology, thoughts, toth, universe.